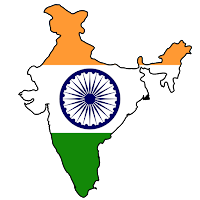 India i.e. 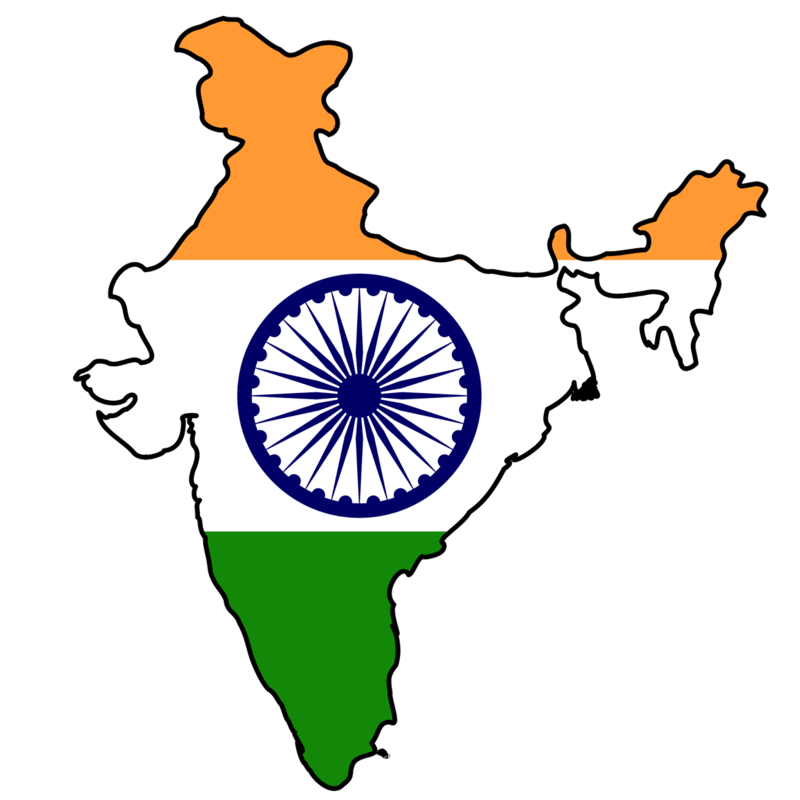 Bharat is a Union of States. It is a Sovereign Socialist Democratic Republic with ath November 1949 and came into force on 26th January 1950 with a democratic government system, completing the country's transition toward becoming an independent republic. 26 January was chosen as the Republic day because it was on this day in 1930 when the Declaration of Indian Independence (Purna Swaraj) was proclaimed by the Indian National Congress as opposed to the Dominion status offered by the British Regime. 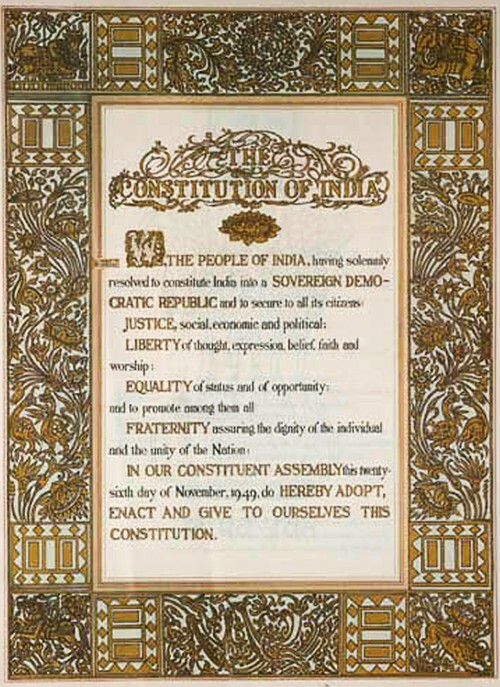 The Constitution declares India a sovereign, socialist, secular, democratic, republic, assuring its citizens of justice, equality, and liberty, and endeavors to promote fraternity among them. The Constitution was drafted by the Constituent Assembly, which was elected by the elected members of the provincial assemblies. The 389 member Constituent Assembly took 2 years, 11 months and 18 days to complete its historic task of drafting the Constitution for Independent India. During this period, it held eleven sessions covering a total of 165 days. Of these, 114 days were spent on the consideration of the Draft Constitution. On 29 August 1947, the Constituent Assembly set up a Drafting Committee under the Chairmanship of Dr. B.R. Ambedkar to prepare a Draft Constitution for India. While deliberating upon the draft Constitution, the Assembly moved, discussed and disposed of as many as 2,473 amendments out of a total of 7,635 tabled. The first temporary 2-day president of the Constituent Assembly was Dr Sachchidananda Sinha. Later, Rajendra Prasad was elected president of the Constituent Assembly. The members of the Constituent Assembly met for the first time on 9 December 1946 in the Constitution Hall which is now known as the Central Hall of Parliament House. As to its composition, members were chosen by indirect election by the members of the Provincial Legislative Assemblies, according to the scheme recommended by the Cabinet Mission. The arrangement was: (i) 292 members were elected through the Provincial Legislative Assemblies; (ii) 93 members represented the Indian Princely States; and (iii) 4 members represented the Chief Commissioners' Provinces. The total membership of the Assembly thus was to be 389. However, as a result of the partition under the Mountbatten Plan of 3 June, 1947, a separate Constituent Assembly was set up for Pakistan and representatives of some Provinces ceased to be members of the Assembly. As a result, the membership of the Assembly was reduced to 299.